As family members get older, it can often be difficult to give them the proper care they need. Choosing to place a loved one in a nursing home isn’t an easy decision and one that’s not taken lightly. You want to make sure that the facility you choose offers the care and attention your family member needs to enjoy their golden years in peace and in the best health possible. 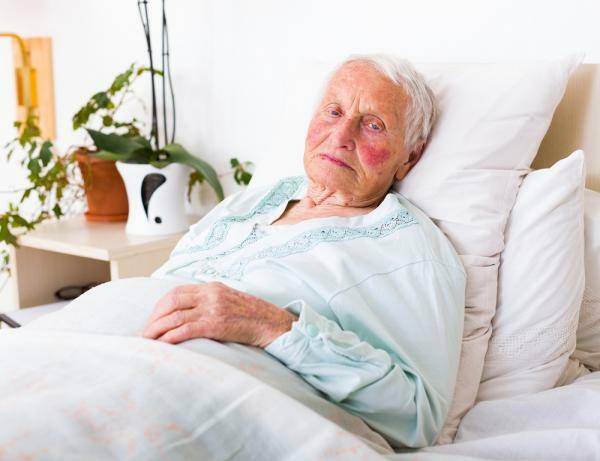 Unfortunately, all too often, there are cases of nursing home abuse and negligence across the country. According to the Centers for Disease Control and Prevention,, over 500,000 seniors over the age of 60 suffer abuse or neglect every year in the U.S. And, with over 1.5 million elderly Americans in nursing homes, the potential for nursing home abuse or neglect is all too real. At the Hickey Law Firm, P.A., our experienced attorneys, led by John H. (Jack) Hickey, understand the seriousness of these cases and do everything they can to help your family during these difficult times. No family member should ever experience abuse or neglect but our personal injury attorneys are here to help in the event that you need justice for your loved ones. If someone you love has experienced nursing home abuse or neglect, please contact our office by filling out the form on this page or by calling us at 305-371-8000 to schedule your free, no-obligation consultation. We proudly serve those who live in and near the Miami, Florida area. When you place a loved one in a nursing home or assisted care facility you’re trusting that their health and well-being will be the facility’s top priority. While there are many hardworking and dedicated employees who do everything they can to ensure your loved one is taken care of, there are those who abuse or neglect, causing emotional and physical pain and suffering for your family member. As you can see, there are many ways in which your loved one may suffer abuse or neglect at the hands of their care facility. Whether intentional or not, neglect and abuse are grounds for a personal injury case and our experienced attorneys will fight on your behalf to pursue justice and the compensation your loved one deserves. If your loved one suffered physical or emotional injury through abuse or neglect at their care facility you may be able to pursue damages to compensate for their suffering. Determining who is responsible for your family member’s injury is critical to receive justice but it can also be difficult. Whether it’s ultimately the facility’s fault, a specific employee’s fault, or the fault of a third party vendor or contractor will need to be determined to successfully prove your loved one’s case. A nursing home and any assisted care facility owe every one of their residents a strict duty of care, meaning that they’re responsible for providing the necessary components for their residents’ well-being such as food, water, shelter, medical care, and proper hygiene. When these are neglected, your loved one may suffer. Because of the many entities that may be involved in your loved one’s injury, it’s important to seek an experienced nursing home abuse attorney so that they can investigate the incident and determine who is responsible so that your family member can get the justice and compensation they deserve. Punitive damages may also be sought to curtail the negligent behavior from happening again to another individual. When you come to the Hickey Law Firm and we accept your case, we provide you with the dedication and representation you deserve. Each client is given a team including board-certified trial lawyer Jack Hickey, a case manager, and a medical case manager to make your case as strong as possible. Everything we do will be in the best interest of you and your case so that we can pursue the maximum compensation you deserve. If someone you love has been the victim of nursing home abuse or neglect, please give us a call at 305-371-8000 to schedule your free, no-obligation consultation. Our Miami, FL, attorneys are here to help you.